– New profile creation modes: Delta, Tick. E.g. 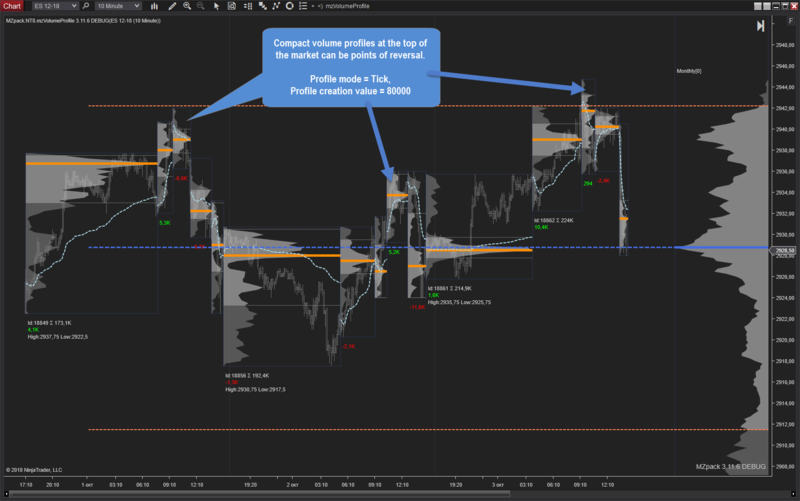 set Profile mode = Tick and Profile creation value = 50000 to build new profile on each 50K ticks or trades. Profile creation value in Delta mode is an absolute delta value. – New Profile type = VolumeDelta has been added. It is similar to Volume type but ladders are colored with delta colors. 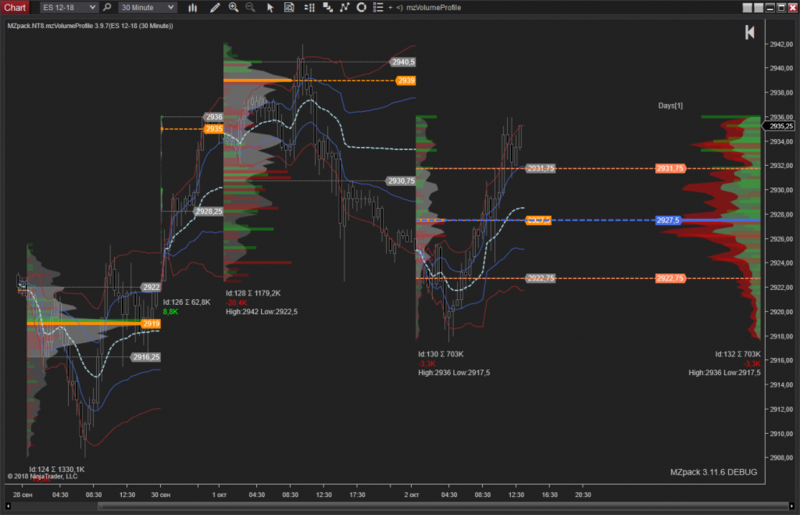 – Delta ladders over Area and Contour presentations have been added. – ‘Show last N profiles’ has been added. Set -1 to display all profiles. 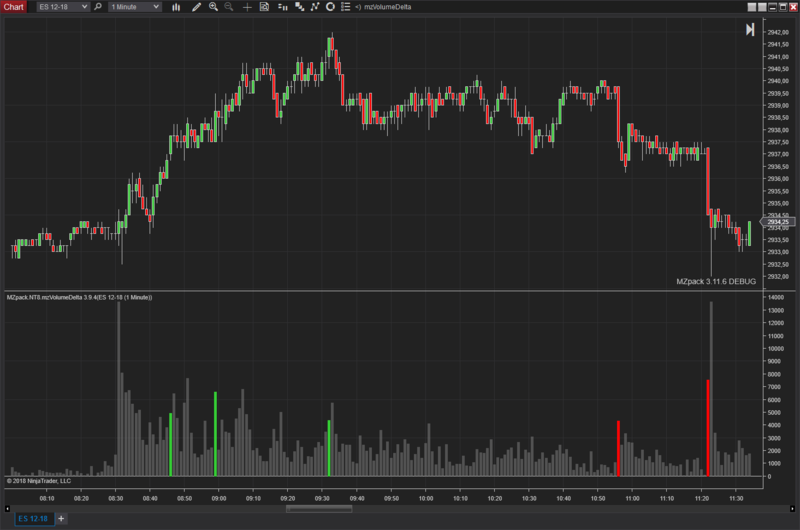 – ‘Color code’ parameter has been added for Volume histogram. Set ‘Color code’ = Delta to code volume bars by delta value. This will help to highlight volume bars with big delta. Set ‘Color code’ = UpDown to code volume bar color by chart bar type – up or down (previous default setting). – ‘Common – Filter’ parameter has been added. All histogram bars and candles (in both Volume and Delta modes) will be rendered with ‘Below filter’ color if their values are under ‘Filter’ value. This will help to highlight meaningful bars and candles.